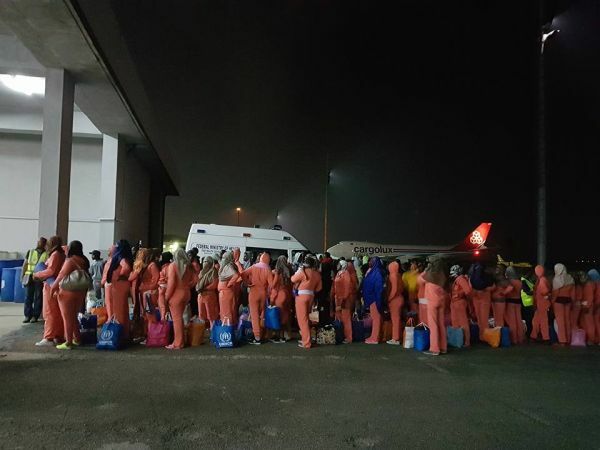 The International Organisation for Migration (IOM) has in the early hours of this morning, provided arrival assistance to 157 Nigerians returning from Libya by Chartered Flight. The returning migrants were received by Government and IOM officials at the Hajj Cargo Terminal in Lagos. IOM has so far assisted 8500 + migrants who have returned from Libya. This is coming after the National Emergency Management Agency NEMA received a new batch of 171 stranded Nigerians from Libya some weeks ago through the assistance of the International Organisation for Migration. The returnees comprising 70 female adults including nine pregnant women; 90 male adults, three children and eight infants arrived at the cargo wing of the Murtala Muhammed International Airport, on Monday evening. The agency said eight of them had minor health issues, adding that they returned voluntarily from the Zintan District of Libya.